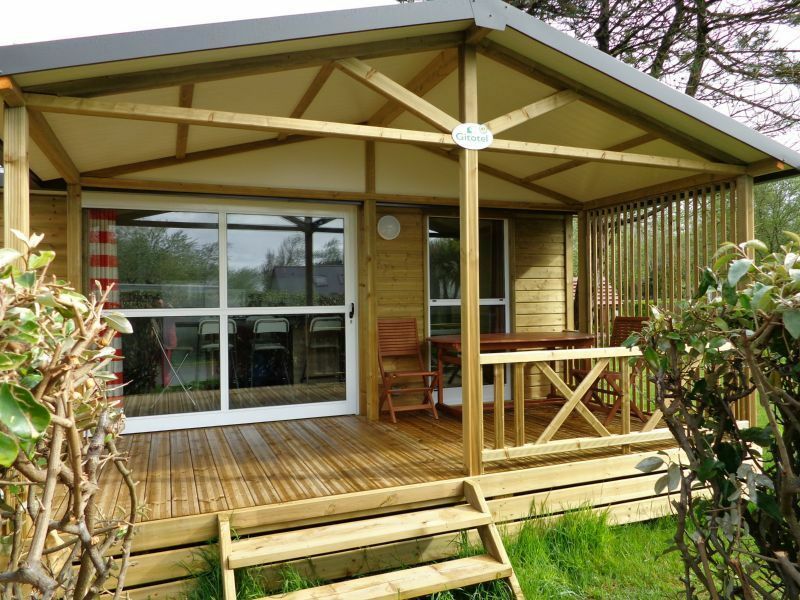 With a 32 square metre surface, this superb three bedroomed chalet has a wooden semi covered terrace of 14 square metres for indoor- outdoor living. 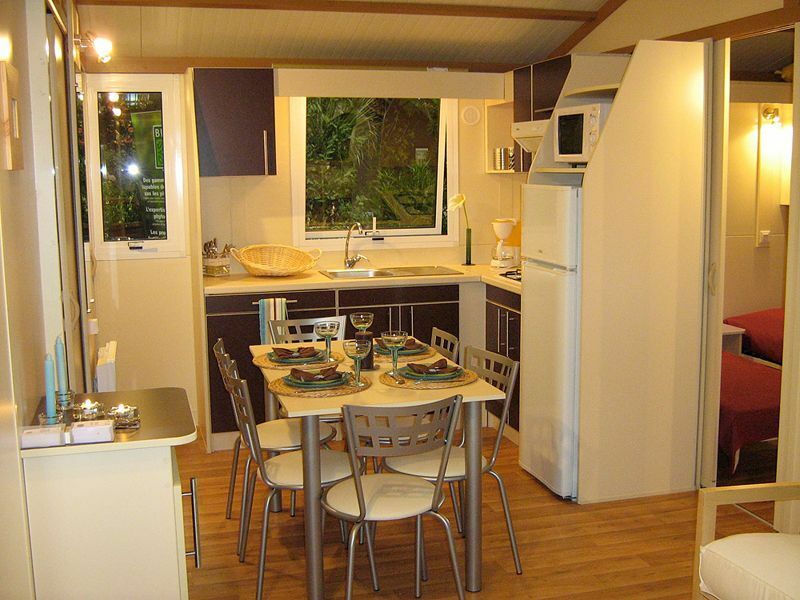 A spacious, functional, family holiday chalet. 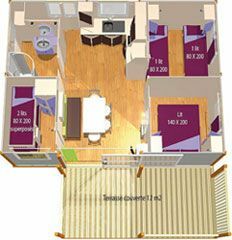 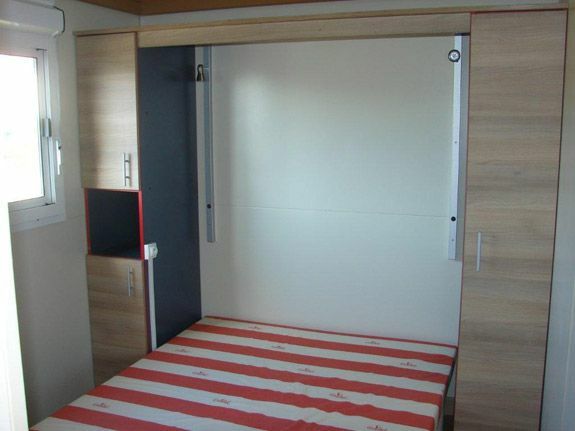 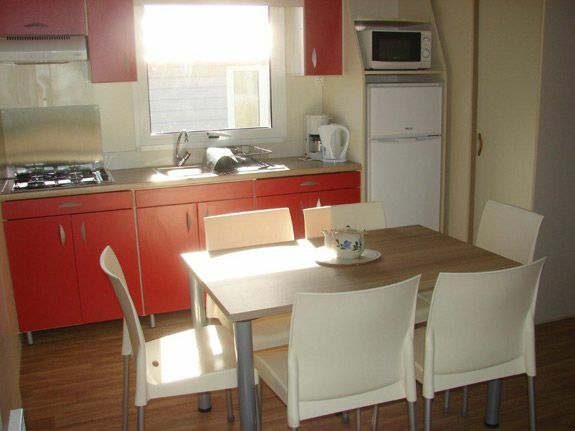 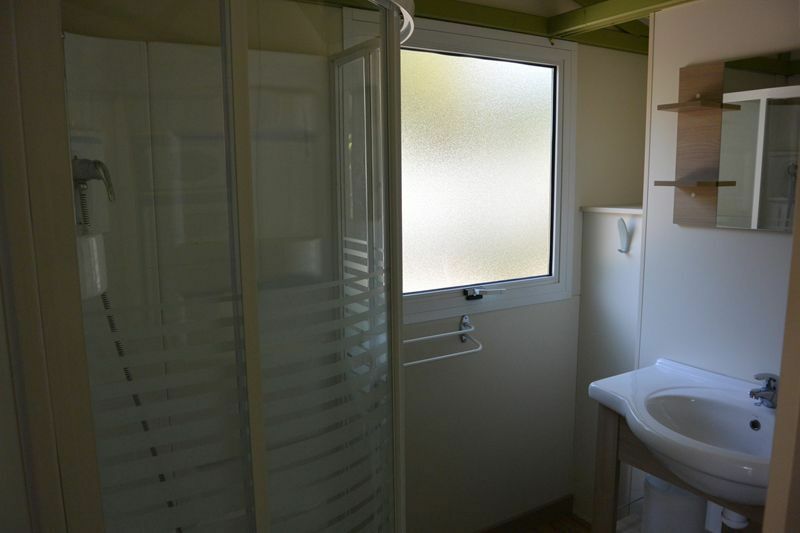 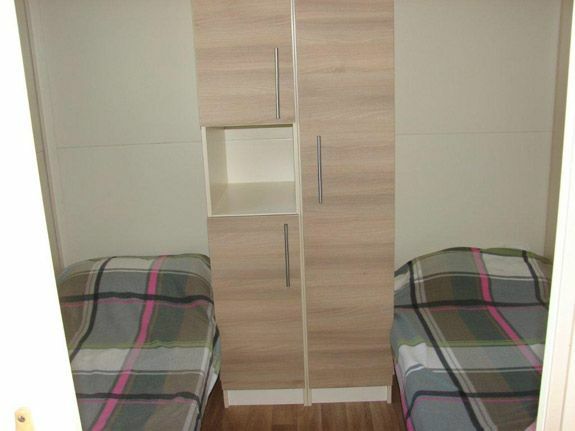 Comprising of a living area with a kitchen corner equipped with a hob and 4 hotplates, microwave, fridge/freezer, a bathroom with shower, separate toilet, three separate bedrooms; one double bedroom, one with twin beds and the third with bunk beds. 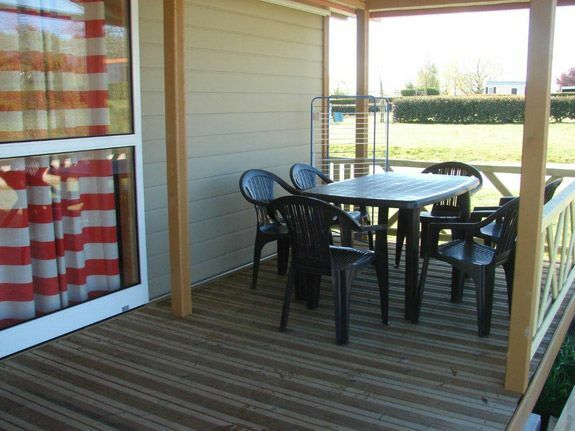 There is a private, semi covered terrace of 14 square metres for family occasions to share special moments on their holidays in Corrèze. 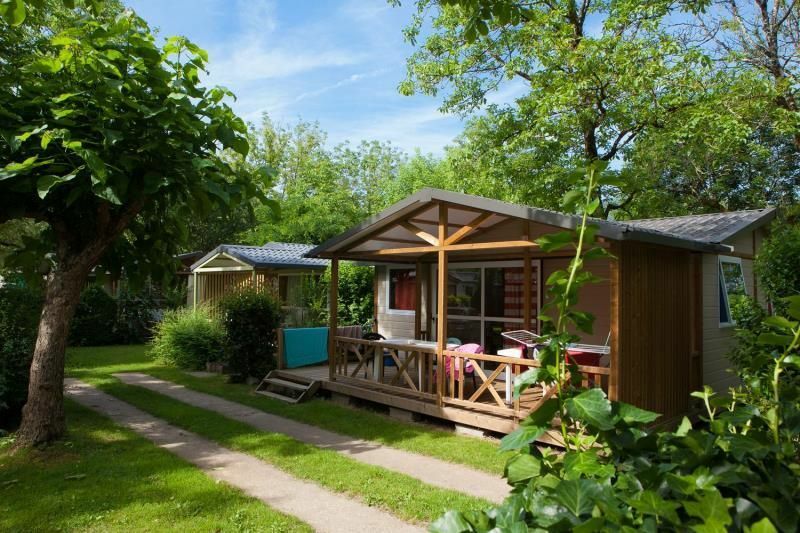 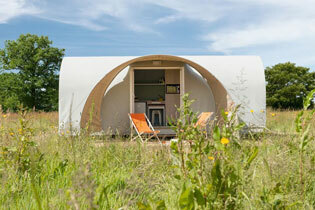 Reserve your 4-star campsite, chalet for your Dordogne holiday.